What is it about Sardinian People? Martina, the author of this article, is a born and bred Sardinian and author of A Deal with a Stranger. Is there a typical Sardinian person? Can we really generalize and say: people from this place are like this, or like that? Probably not. Below are just my experiences of being born and brought up in Sardinia, and what I learnt while I lived there. When I look at Sardinians, I certainly observe a difference between the ones who live in large cities (like Cagliari) and the ones who live in small towns. The ‘nuoresi’ tend to be wary of strangers and like to mind their own business. But if you are introduced to them by another friend, or if somehow they get to know you, and they like you, then you become their family. Their hospitality is unbeatable. 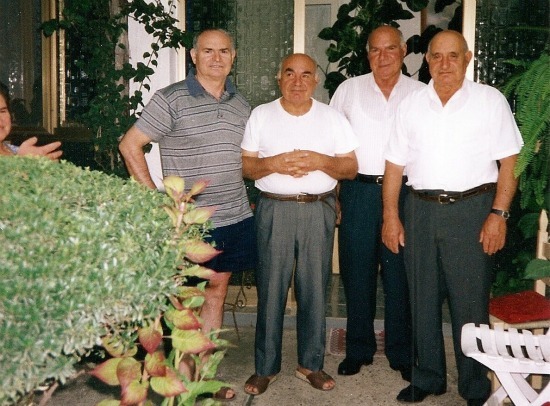 My parents once visited some distant relatives in Fonni, it was meant to be just a day trip. These relatives insisted they should stay over for a few days, and fed them the most wonderful food: their own cheese, carta da musica bread, finest olive oil, their own delicious ham, etc. Over those three days, the head of the family dragged my father from bar to bar to introduce him to his friends in town, and they would all compete on buying him a drink. 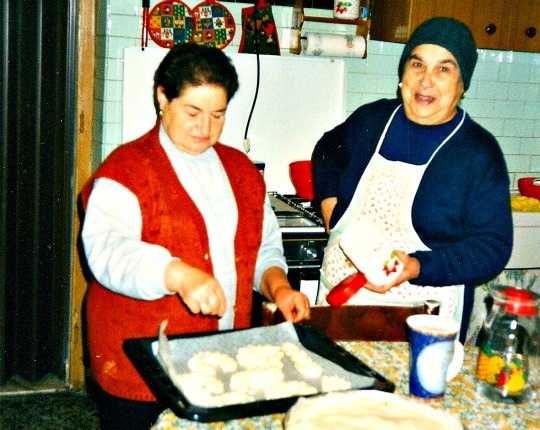 My mother, who stayed at the house, was treated like a queen: they served her amaretti and pardulas with coffee at every opportunity, not to mention the generosity of their meals. She felt like she put on a few kilos in 3 days! And this was a family of distant relatives. 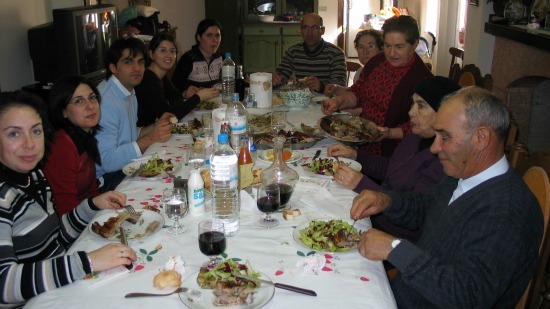 But this hospitality is common in other towns and villages of Sardinia too, including my hometown. When you have a visitor, you must make them feel special, treat them really well, they have to feel at home and at the same time totally at ease, without overwhelming them with too much attention. Generosity is another common trait in Sardinian people. We had an orchard and my father spent most of his retiring days there. When the fruits of the season were ready to be picked, he would prepare a basket for us and a basket for friends and relatives. Interestingly, the best looking fruit was given away, and the not-so-good looking one, even if all the same delicious, was consumed at home. When my father gave something, it had to be the best, never second best. But this wasn’t only my dad; this was common among the other farmers too. We were often given freshly picked vegetables, salads and other fruits we didn’t grow. And they looked so perfect, you thought they were unreal. It was an exchange of gifts from the heart. Somehow, at lunchtime or dinnertime, the mourning visitors would quietly leave, almost as if an internal signal was indicating they should do so. We would move to the kitchen and found a delicious meal was waiting for us, lovingly prepared by our close neighbours. On the day of my father’s funeral, Maria Teresa (next-door neighbour) had prepared a lovely bowl of Malloreddus alla Salsiccia – maybe it was the care she put into this, maybe it was the wonderful taste, but I felt so comforted whilst I was eating that pasta. 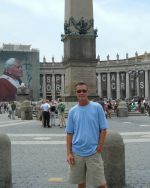 And I knew that my dad, rest his soul, would’ve loved it too. This kindness and warmth, I have struggled to find in the Sardinian people living in larger cities, especially in Cagliari, the capital. I guess, like in most big cities, people live in apartment blocks, they barely know each other, so a sense of community cannot develop as well as in small towns. One trait that most Sardinian people have in common is the love for their land. They adore their sea, their mountains, their countryside and the traditions in generally. Sadly there are no jobs in Sardinia, so many are compelled to leave and go abroad. I know of many Sardinians, like me, who have left. It’s interesting how, nearly all Sardinian people who live away, visit Sardinia whenever they possibly can and take all their vacations on the island. They don’t choose new destinations to travel to. After all, Sardinia is the perfect holiday place, and if you combine that with the warmth of your own family, it’s hard to beat it. Need the perfect place to stay in Sardinia? I recommend these hotels! Discover Martina's favourite beach in Sardinia. Click here!